Would you like something different and unique to you? Are you bored of all the 'normal' jewellery? The best and most common way to achieve the perfect design for you is to start with the stone. We will acquire a selection of diamonds and other stones (Sapphires, Emeralds or Rubies ) for you to view, and then develop the design with you. There is no obligation at any time for you to commit until we have a design you are completely happy with. 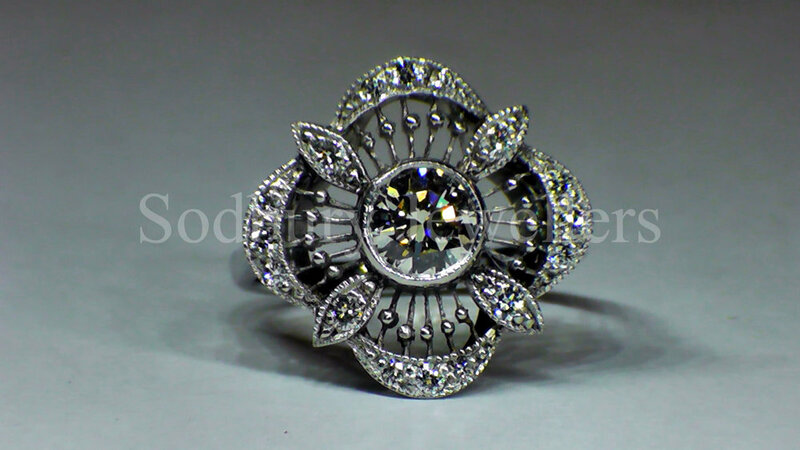 So whether you are looking for an engagement ring, a pair of earrings or a pendant, we can make it for you. Once commissioned your item of jewellery will be made the traditional way, using sheet and wire not cast.